Holy waters have been healing people, animals, plants and all living forces throughout cultures, traditions and spiritual paths. Civilizations from all over the world perform water ceremonies. I have had the chance to be part of some of them and to experience holy springs, rivers and waters in India, China, Jamaica, the Americas and in Switzerland. Through prayers, water molecules transform taking shapes and forms aligned with the intention and frequencies that it receives. Like chanting mantras can heal the body, songs and intentions are like winds giving direction to water. Water is a sacred and sensitive energy. A few years ago, I met Dr. Masaru Emoto, a scientist from Japan who proved scientifically how the vibration of our intention, words, and sounds can affect the crystals of water. Also, some specific sources and sacred locations around the world offer holy waters, like Badrinath, Rishikesh springs of the Ganges, the sacred river of India. After the passage of hurricane Irma in the Caribbean and Florida, the ocean, islands, people, animals and plants were deeply affected physically and emotionally. So, we did a beautiful Water Ceremony at the beach with the intention of Healing. We integrated all Five Elements of Earth, Water, Fire, Air and Ether during the ritual. We brought a big transparent bowl filled with clean purified water. Everyone wrote some of their wishes on the bowl to support the healing of the ocean, as well as the healing of all the people emotionally affected by this intense experience. We visualized healing one drop at a time to become an ocean. The power of intention is stronger than you can ever imagine. We all meditated in a circle moving through our own emotions as we joined our intentions for healing. The dynamic of the group was so pure and deep, we all felt safe to open our hearts with grace. And in the seven days following we all continued to meditate and to visualize the healing spreading towards the ocean, nurturing and balancing it with love, compassion, and light. I invite you to take a few minutes daily to visualize healing energy in areas of contaminated waters. For yourself, visualize healing light in the water before you drink it. For others, visualize healing light when you cook, when you serve water to your loved ones, as well as in all you do. When emotions are in motion we feel alive. Water is the source of life. The many functions of water are to nurture, to hydrate, to moisturize, to cleanse. When some water cells become too stagnant or stuck in certain areas of our body, they can become unhealthy and even transform into stones, tumors or cysts that reflects frozen energy. Fluids form a large part of our body. They appear through many forms as fatty tissues, blood, sweat, tears, saliva, urine. 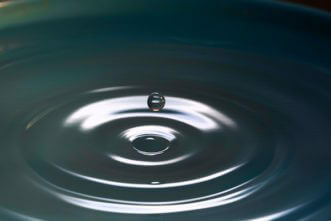 Water together with oxygen and vital energy nurture the cells of our body bringing rejuvenation. For good health, these waters are in constant movement. A way to cleanse your body regularly is to fast and drink only water one day a week. You can choose the day of the moon transition or choose a specific day that is convenient for you. This balances your metabolism, strengthens your willpower and opens the flow of energy for any stored emotions or toxins in your body. The many properties of water are a reflection of our own environment and state of being. A holistic integrative approach to our emotions, and to the Water element influences and provides a clear direction of its many functions for our wellbeing and balance. Our emotional states reflect those water movements. When we freeze emotionally we hold back and repress the flow of the energy within and around us. It manifests in our relationships as well as in our overall wellbeing and health. Emotions are directly linked with vital energy; they activate hormones, adrenaline and support healthy functioning of our body. Also, the constant motion of waters in our environment nurtures the earth and support fertile ground. As a holistic healer and consultant, I work with all Five Elements of Earth, Water, Fire, Air and Ether. All the Elements are interconnected. Water infiltrates the Earth to nurture the soil. Such as good hydration nurtures our physical body for wellbeing and fertility. Good discipline and a healthy lifestyle support our emotional wellbeing and balance. Fire gives warmth and uplifts the Water just as motivation and purpose can uplift someone emotionally. The Wind and Air give direction to the clouds, just as our own perception and vision can direct our emotions. If our thoughts are judgmental and hurtful, it will affect the Water. 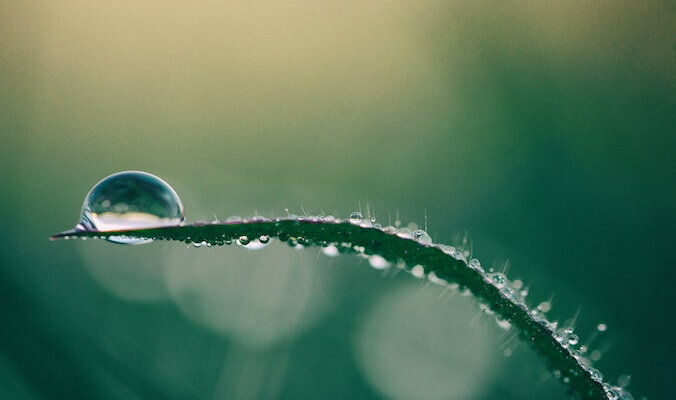 While if we accept our emotions, and direct them with positive intention, we can use the power of our emotions (Water Element) creatively for a positive outcome. Being mindful of our thoughts and frequency supports healing within and all around us.